I can’t catch tops or bottoms of the market but occasionally I do get close. Buy to Open a Long put – The right to sell at a certain price for a certain period of time. How do you decide what you can live with BECAUSE you will lose or be losing at times? If you extend your time horizon you can formulate a plan to “get through” the tough times in the market. 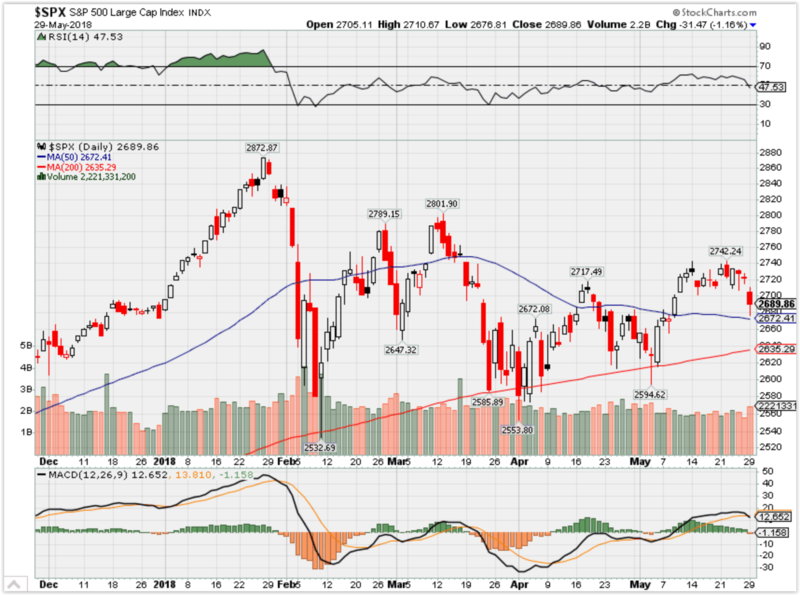 Where Will the SPX end June 2018? “Lawmakers might hesitate to approve fiscal stimulus in the next downturn in light of the already substantial budget deficit,” the economist said. The Congressional Budget Office projects that debtcould equal GDP within a decade, a level not seen since World War II. Economic growth should jump above 3 percent in 2018 thanks to the stimuli, the CBO said, but the acceleration will likely prove brief, and debt held by the public will soar to $28.7 trillion by the end of fiscal 2028. That could create a precarious situation for Congress if the economy faces an economic downturn in the near term, Hatzius wrote, hampering legislators’ ability provide additional fiscal stimulus. But even if the debt and deficit levels don’t prevent lawmakers from approving countercyclical fiscal stimulus during the next recession, a political desire to stabilize the debt level would likely arrest growth during the next recovery, the Goldman team explained. 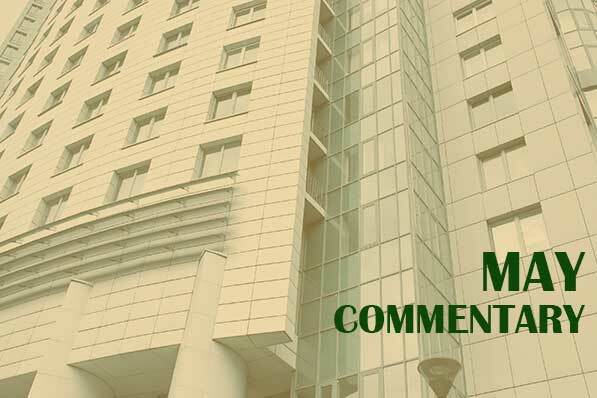 “The current fiscal expansion … must at some point give way not just to a neutral stance, which we expect by 2020, but to a tightening of fiscal policy that could restrict growth,” Hatzius wrote. President Donald Trump’s demand that China cut its trade deficit with the U.S. by $200 billion in two years is tall order politically. President Donald Trump‘s demand that China cut its trade deficit with the U.S. by $200 billion in two years is tall order politically. On Tuesday, the president walked back comments over the weekend from Treasury Secretary Steven Mnuchin essentially calling a “truce” in the emerging trade war with China. The administration has threatened to impose steep tariffs on Chinese goods entering the U.S. unless Beijing engineers a $200 billion reduction in its trade surplus with the U.S. by 2020. To begin with, Trump’s math is off – by more than $100 billion. A country’s trade balance is nothing more or less than the difference between the value of everything it imports from a trade partner and everything it exports back to that country. A trade deficit occurs when the value of imports is greater than the value of exports, in terms of both goods and services. It’s not at all clear that the trade deficit has harmed the U.S. economy, which is enjoying one of its longest expansions in history. China has little control over U.S. demand for its products and services, which included more than $70 billion in cell phone shipments alone. If the U.S. imposed tariffs on Chinese products, it’s not clear whether consumers would buy fewer cellphones. But they would certainly pay more. Shifting the other side of the equation – which means boosting U.S. exports by $200 million a year – would be even more problematic. “Even if we sell them every last soybean we own or produce, its only going to make up a small portion of that $200 billion,” Stefan Selig, an investment banker at Bridgepark Advisors, told CNBC. And despite Trump’s insistence, the U.S. didn’t “lose” $375 billion to China. In return for that money, American consumers and businesses received products that were worth that much more, collectively, than all the goods China received from the U.S.
That’s why most economists look at a wider measure of the economic ties between countries, known as the current account, which includes income from abroad and other capital transfers. When an American company earns profits on a overseas operation, for example, that money is included in the current account balance. “What really matters is that China’s current-account surplus has been falling since 2008, and now stands at a relatively small 1 percent of GDP,” according Jeffrey Frankel, an economist at Harvard University’s Kennedy School of Government. The S&P 500 is now well-anchored near the middle of its 2018 range heading into the summer. This year could be similar to 2014, where the market made very little net headway through October before a strong finish to the year. How is the stock market set up heading into summer? It’s hard to make a confident case the summer of 2018 will either be “hot fun” or particularly cruel. The weight of the evidence tilts toward some more aimless knocking around, punctuated by a few bursts of excitement, and probably a couple of attempts by the bears to raid investors’ picnic. 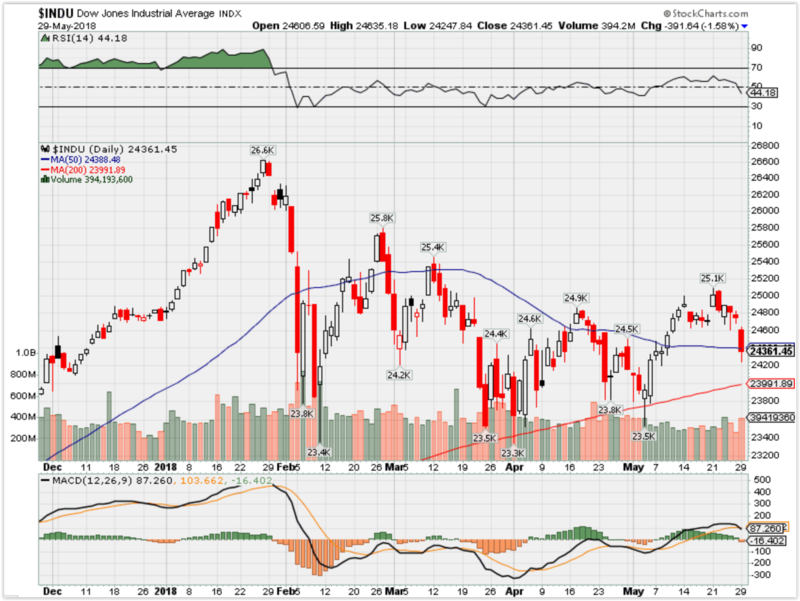 Memorial Day weekend marked four months since the major indexes peaked in a crescendo of heedless optimism and maximum momentum, and the past two have seen them settle into a tight band. Call it rediscovered stability or stalemate or indecision, but whatever the characterization, the S&P 500 has been well-anchored near the middle of its 2018 range. At Friday’s close of 2721, the index was up 5.4 percent from its Feb. 8 closing low, and it would take a 5.5 percent gain from here to match the Jan. 26 all-time high. 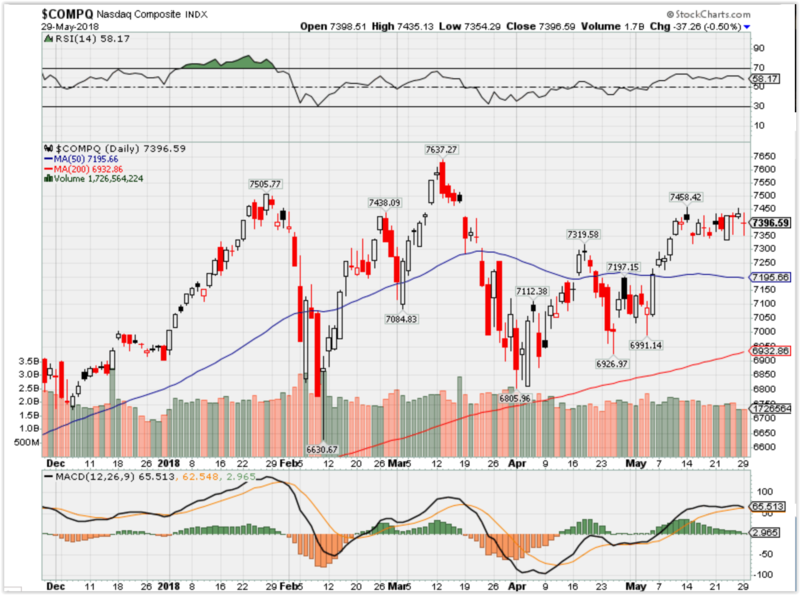 The tape showed impressive resilience in April, refusing to buckle despite several trips toward the lower end of the 2018 range. But the thrust behind rallies has been unimpressive and the strength has been selective and shifting within the market. The forces holding the market in this zone are well-known to the point of being taken for granted now: supported by fast-rising corporate profits, solid consumer trends and favorable credit conditions, while hampered by somewhat higher bond yields, suspense about rising inflation and persistent questions about how much profitable life is left in this cycle. It’s tough to see how any of these factors resolve themselves decisively in one direction or the other in the next couple of months. The long-term trend still favors the bulls and will continue to so long as the S&P holds within a few percent of the current level. Yet on a tactical basis in the short term, the aggressive equity optimists have a bit more to prove. Recent rallies have failed to surmount the threshold on the S&P 500 — around the 2750 mark — from which stocks fell hard two months ago on a swirl of China trade salvos, Facebook privacy scandal and the latest Federal Reserve rate hike. The valuation of stocks relative to bond yields — to cite one big-picture relationship — has been steady at levels that seem neutral based on the past decade or so. The 10-year Treasury hit 2.94 percent in a rush higher on Feb. 21; the yield finished Friday at 2.93 percent on a pullback. On both dates, the S&P sat a bit above 2700. There’s nothing necessarily rigid about that relationship over time, but these asset classes seem engaged in a sort of uneasy equilibrium for the moment. Global strategist Michael Hartnett at Bank of America Merrill Lynch has set out what would likely need to happen for the market to break one way or the other out of its sticky range. To regain the January highs, he thinks the Fed and President Trump must “blink” and cut back on rate hikes and trade aggression, respectively, while stock buybacks and perhaps a reanimated tech-stock lovefest emerges. It’s quite unclear much of this would have time to develop, say, by July 4, though of course markets attempt to front-run the next economic plot point. Researchers who study the aggregate bets of the big-money index-options traders for clues about which way the index might be pulled say the pricing of bets expiring in late August suggest a flattish summer that chops around but shouldn’t be too far from 2700. (These traders’ positions collectively don’t always bunch together near the current index price, for those wondering.) The good news is, options dealers don’t see deep and lasting damage to come in summer, but they also aren’t betting on a summer surge. The familiar seasonal patterns have not been all that helpful to traders and investors in recent years, proving that they are merely broad tendencies and not cues for action. Still, for what they’re worth, this year they seem a headwind. The hackneyed “sell in May” idea that May-October returns have been weak over the decades has failed in recent years as stocks made good headway in that half a year. But it’s in years when the market was down year to date through April — as it was this year — when the historical weakness mostly shows up. In such years, the May-October S&P 500 return has averaged a 2.9 percent loss. And Stock Trader’s Almanac chimes in that June in midterm election years since 1950 ranks dead last for average returns. I’ve been keeping an eye on the comparison of this year’s market path with that of 2014. Why? Both years were preceded by unusually strong years (2013 and 2017) with extraordinarily low volatility. Early in each 2014 and this year, there was a nasty shakeout lower amid complacent investor sentiment. In each year, too, the Fed was entering a new phase of removing “easy money” policy — ending QE in 2014 and reducing its balance sheet this year while lifting short-term rates. As the charts show, the paths are not dissimilar, though the January run-up and February drop this year were more dramatic. As of Memorial Day weekend in 2014, the S&P was up 2.8 percent, and now is up 1.8 percent. In 2014, credit markets stayed firm and the economy and earnings held up well, but as the highlighted box shows, the market made very little net headway through October before a strong finish to the year. Not a prediction, just something to ponder over the long days of summer. The average American spends just over $1,000 a year getting lunch at restaurants. But investors Guy Spier, 52, and Mohnish Pabrai, 53, spent $650,100 on just one lunch for a very special reason: They got to dine with billionaire Warren Buffett. The businessmen purchased their big ticket lunch in 2007 as part of an annual charity auction for Glide Foundation, which helps the homeless and impoverished get back on their feet. This year’s auction started on May 27 and concludes June 1. The winning bidder can bring up to seven guests to dine with the Berkshire Hathaway chairman at the Smith & Wollensky steakhouse in New York City. During their lunch, Buffett explained how he and his longtime business partner Charlie Munger approach the truth, honesty and integrity. “He and Mr. Munger use an internal yardstick,” Pabrai told CNBC. “And he said, ‘If you know how to answer that correctly, then you have the right internal yardstick,'” recalled Pabrai. Buffett has long been a big believer in cultivating integrity, especially at young age, and has previously noted that he looks for this key characteristic in all employees. Buffett reportedly once said, “The difference between successful people and really successful people is that really successful people say ‘no’ to almost everything.” And he clearly lives by this sentiment, Spier wrote in a 2014 article for MarketWatch. During their “power lunch,” Spier said that Buffet showed them his diary, which was almost bare. “He likes to leave his time unstructured, and to leave plenty of room for spontaneity,” said Spier. This isn’t a new habit of his, according to Buffett’s close friend and fellow billionaire Bill Gates. In an interview, Gates said that when he first met Buffett in 1991, he showed him his calendar, and it was largely empty. Buffet also discussed the importance of doing what you love, Spier told CNBC at the time. The billionaire first pointed out that Cecil Williams, founder of the Glide Foundation, does what he loves by taking care of the less fortunate. Buffett then added that he also he loves what he’s doing as the CEO of Berkshire Hathaway. In fact, Buffett, who is worth $86.3 billion, loves his job so much that he’d be happy doing it for much less. “Certainly with $100,000 a year, I could be very happy,” the billionaire told PBS Newshour. He urges young people to find jobs that they love in much the same way. “When you go out in the world, look for the job you would take if you didn’t need the money,” Buffett told 40,000 attendees at Berkshire Hathaway’s 2017 shareholder meeting.